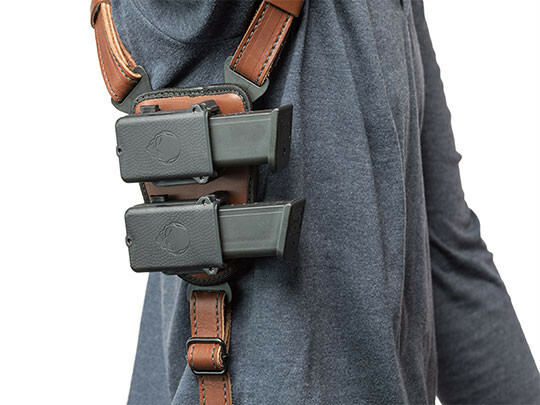 When waistband carry isn't possible or just isn't desirable, there may not be a better way to carry than with a Kimber Micro 9 shoulder holster. 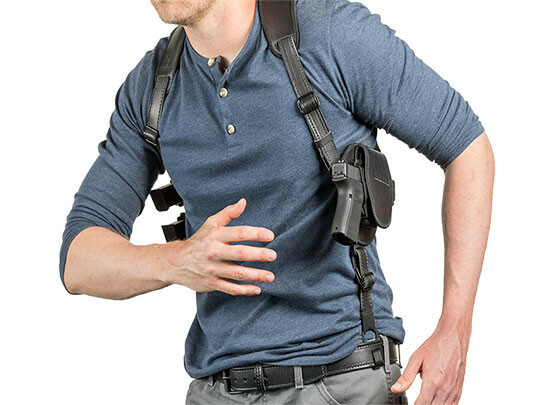 A shoulder holster makes carry easy, less invasive than with an IWB, while still keeping the pistol accessible. It's also incredibly comfortable, despite basically wearing a set of suspenders that carry a gun. 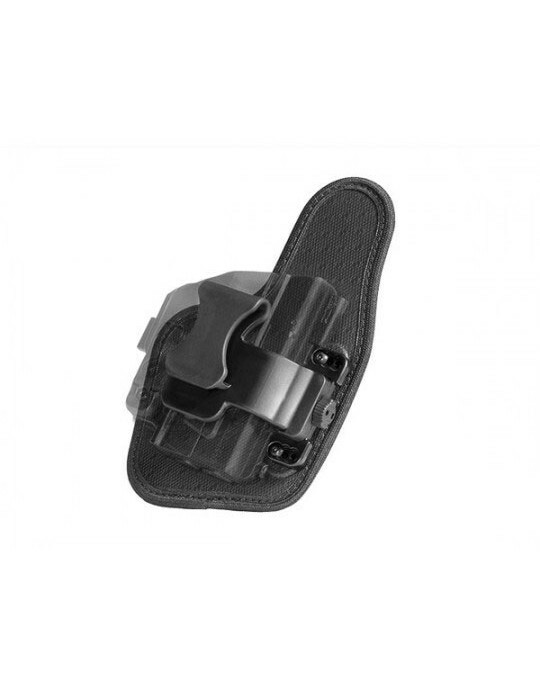 If, of course, you've picked the right shoulder holster for Kimber Micro 9 pistols. 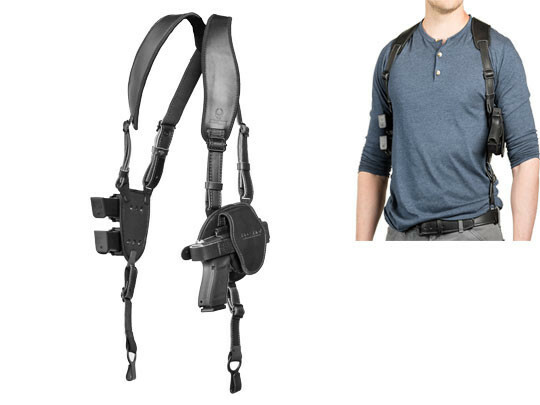 How will you know, though, if you've got a good shoulder holster? Well, there are certain features you need. First you need adjustability. 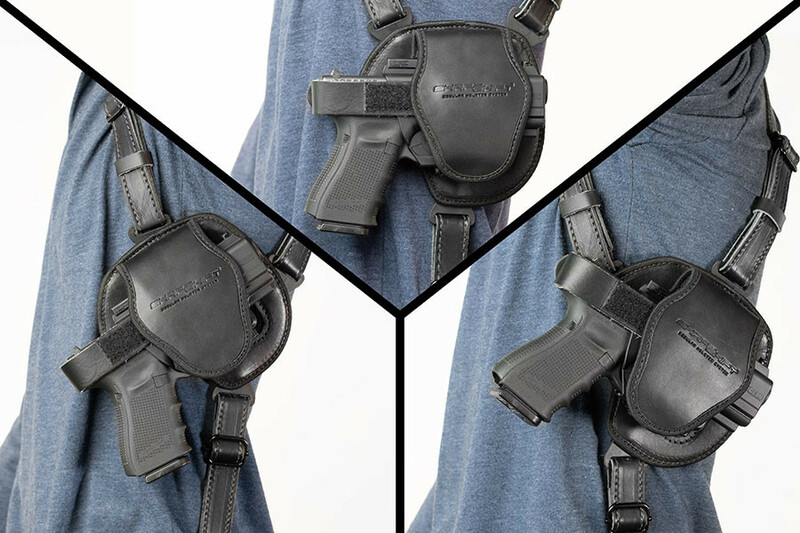 If you can't set the straps up to the right lengths, the holster won't carry comfortably and you'll find reasons not to wear it. 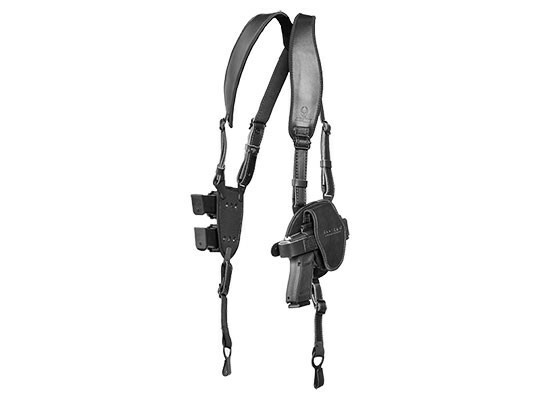 Alien Gear's shoulder holster has several inches of adjustability, so you can set it up exactly how you like it. This includes the ride height of the gun in case you want it riding high, close to the ribs, or lower and riding just above the belt. Comfort is also important along with a good fit. 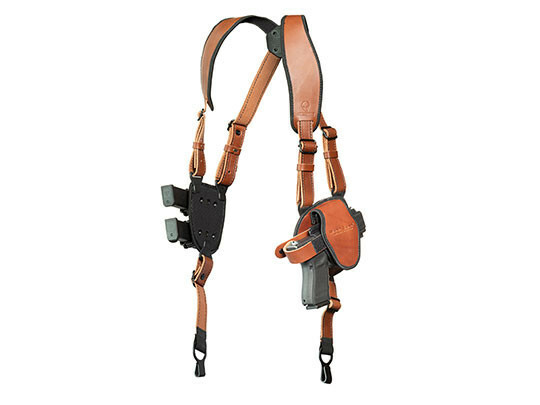 Our shoulder holster has a clover harness that joins the straps, which means the straps of our Kimber Micro 9 leather shoulder holster articulate and sit naturally on the body. They move with you, so they wear comfortably. For additional comfort, we pad the shoulder straps with our CoolVent neoprene. 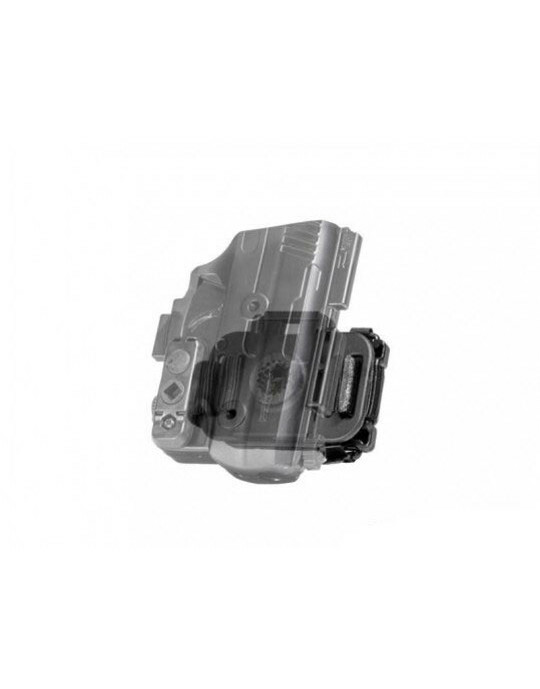 Belt hooks keep the entire harness system secure, never flapping with movement. You'll also notice the holster and magazine carrier bases are pulled tight to the body as well. 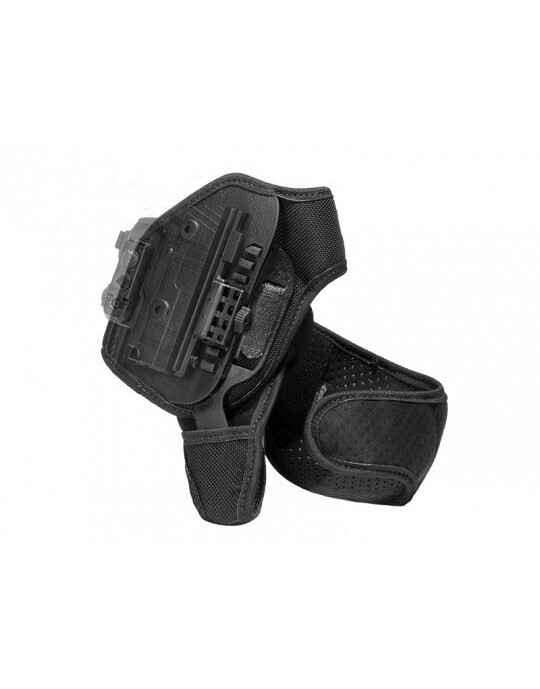 Don't worry though - both the holster base and mag carrier base are also padded with CoolVent neoprene for incredible comfort. 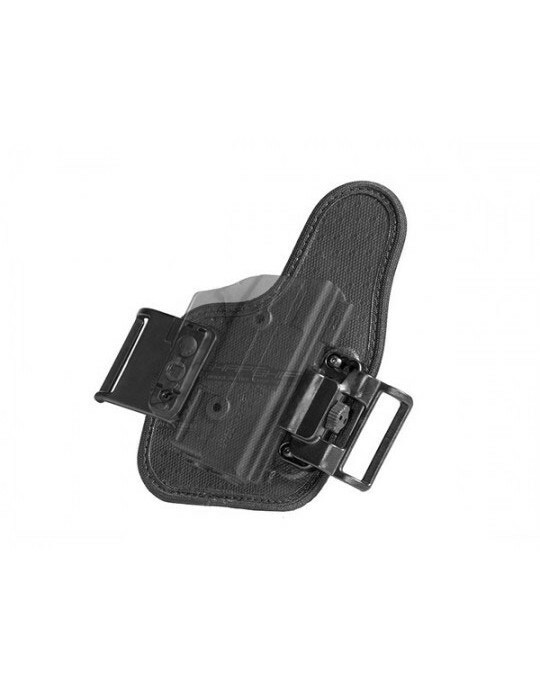 Cant angle is adjustable too, so you can carry with the holster set as a Kimber Micro 9 vertical shoulder holster, at full horizontal, or somewhere in between. 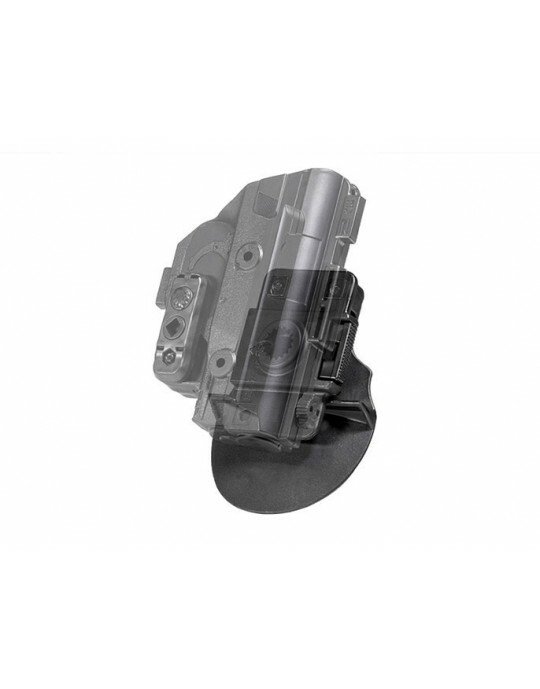 The holster itself is the ShapeShift shell, with a trigger guard half-shell to fully wrap the trigger guard for extra security. Fitment is custom, as we custom-mold the ShapeShift shell for the Kimber Micro 9. Passive retention is too, as you can dial it to the exact setting you desire. We also include a removable thumb break strap, should you wish to carry with an active retention device...but you don't have to if you don't want to. That's a lot more customizability than you get with any other Kimber Micro 9 shoulder holster. You also get more in guarantees. A lot more, in fact. 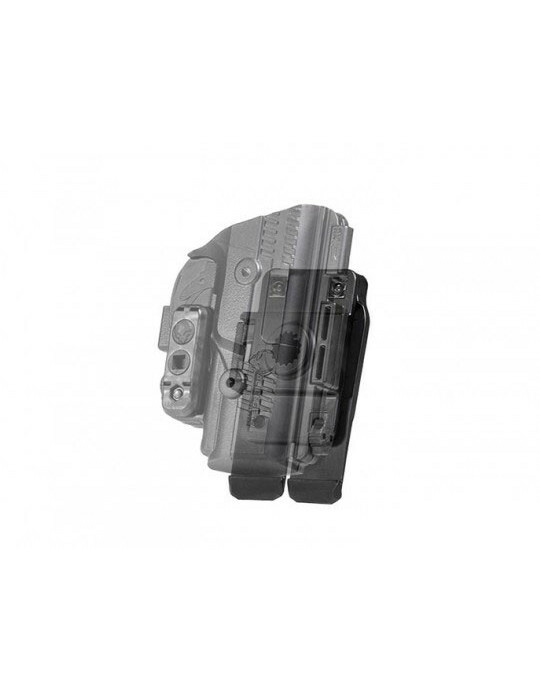 This holster comes backed by Alien Gear's Iron-Clad Guarantee, including a 30 Day Test Drive trial period and a lifetime warranty against any defects or damages. If you're looking to shift into shoulder carry, this would be how to do it. Patience is needed. Great product. Should be fitted. Review by Billy C.